We are beyond excited for our newest collection: “Beyond the Sea” by Jay-Cyn Designs! This adorable modern take on underwater enchantment will be underway and available mid-July. Get your fins wet with a sneak peak of the sea-faring sweetness! Make sure to get your preorders in for Beyond The Sea, available in both Quilt-Weight Poplin and Knit. Hello, I'm excited about this fabulous new line of fabric since I live by the sea! 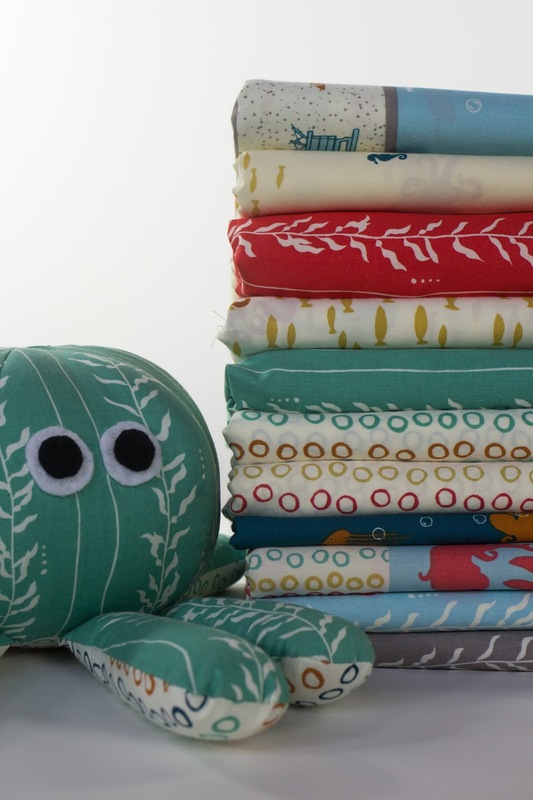 I wonder if you might share where I can find the pattern for the adorable octopus? Thanks!